In this course we spend approximately 5 hours in the classroom learning firearm safety, the fundamentals, gun disassembly and assembly along with firearm cleaning. We start with orange guns, then move to real pistols with dummy rounds then move to the range. We will spend about 2 hours on the range firing different types of pistols so that you can get a feel for what you like and what feels most comfortable. Firearms and ammunition is included (limited per student, if you would like to shoot more you will have to purchase more ammunition). This course fulfills all the requirements of the Illinois State Police to obtain your conceal carry license in the state of Illinois. It is a 16 hour course that covers storage, safety, fundamentals, concealment, drawing, cleaning and all the laws applicable to your conceal carry license. We provide firearms and .22 caliber ammunition (you may bring your own firearm, or if you wish to shoot a larger caliber you must purchase or bring your own ammunition). In this course we will move to the next level of preparing you to carry your firearm. We will practice drawing from concealment, acquiring your target quickly and firing more than one round accurately. We will engage in several courses of fire that involve multiple targets, moving targets, reloads and malfunctions. This course will push you slightly out of your comfort zone so you can learn to deal with stressors as you draw and shoot your firearm. 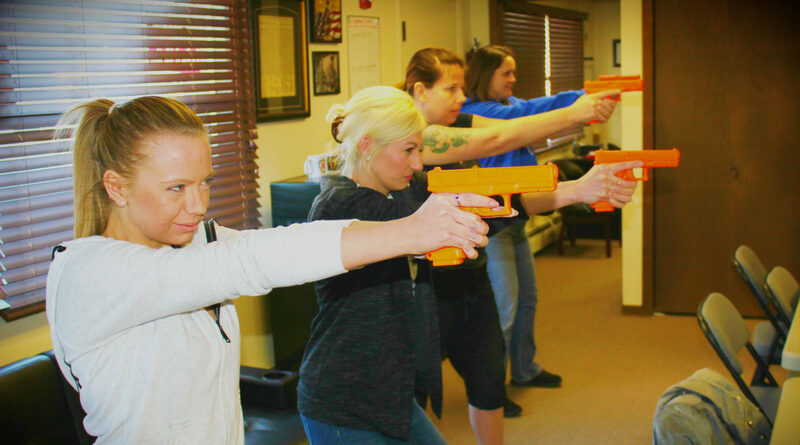 Upon completion of this course you will be able to engage multiple targets and moving targets, reload your firearm and clean a stoppage all while managing stressors.